Melt butter and place 1 tablespoon in the bottom of each ramekin. Make sure you swirl it around the sides too. Sprinkle your meat and onions into the ramekin. Bake for 6-10 minutes or until egg whites are just set. Bake another 6-10 minutes or until eggs are set to desired doneness. 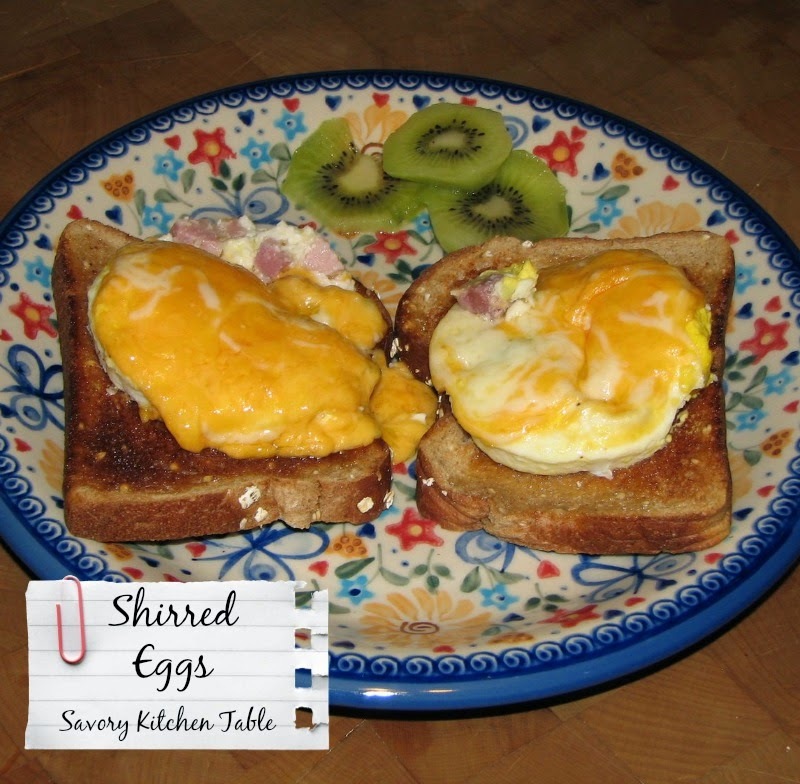 With a spoon gently remove egg from cup onto plate or toast. NOTE: *At home I use individual ramekins for just the two of us, but when camping or having company I use a muffin tin to make them all at once.